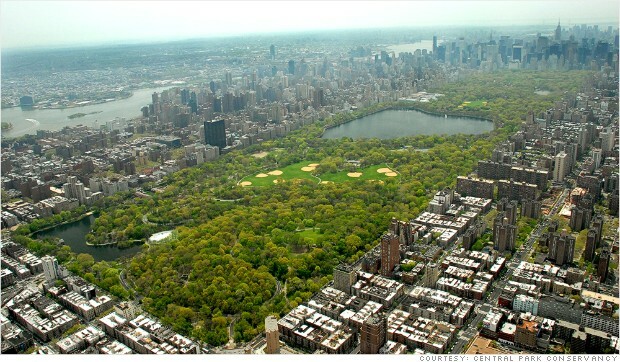 Hedge fund manager John Paulson is donating $100 million to the fundraising arm of New York's famous Central Park. Hedge fund manager John Paulson likes to bet big -- whether it's on an impending real estate crisis or in philanthropy. On Tuesday morning, Paulson and his family foundation announced a $100 million donation to the Central Park Conservancy, the private fundraising arm of Manhattan's famous public park. Paulson called the donation -- the largest ever for any public park -- a "great privilege," and noted that Central Park is one of the most important cultural institutions in New York. The $100 million will be used by the Central Park Conservancy to support the park's infrastructure and management. Doug Blonsky, the conservancy's president, hailed Paulson and even compared him to Frederick Law Olmsted and Calvert Vaux, the park's designers. "John joins these visionaries to sustain Central Park well into the future. Thanks to him Central Park's purpose will endure," Blonsky said in a release. Before Paulson's donation, the Central Park Conservancy had raised roughly $550 million in donations since 1980. Paulson manages roughly $20 billion for clients in his eponymous hedge fund Paulson & Co., according to his spokesperson. He made bold and successful bets during the recession but more recently has come under attack for his investing misses. Paulson's bets on an impending blowup of the housing industry helped him earn $3.7 billion in 2007. In 2010, Paulson was the highest earning hedge fund manager and had nearly $40 billion under management. In the past two years, Paulson & Co's investments haven't panned out very well though. Last year, Paulson & Co bet big on banks, and shares of most large financial institutions ended the year with double digit losses. He didn't earn a spot on the list of the top 25 highest earning hedge fund managers for 2011. This year, as bank stocks rallied, Paulson missed out after having cut his stake in most banks. But even with his Midas touch failing him in recent years, Paulson clearly has some money saved up that he's not afraid to spread around.